Special Programs | CareGivers, Inc.
VitalStim is a specialized form of neuromuscular electrical stimulation designed to treat dysphagia through muscular re-education. Since its introduction, thousands of patients have benefited from VitalStim as part of their dysphagia rehabilitation program. VitalStim Therapy, used in conjunction with oral-motor and other swallowing exercises, has been found to accelerate recovery time and help patients achieve long-term results. CareGivers has a systematic approach to help your doctor in the process of decongesting the swollen limb or body part to prevent or decrease the risk of infections. With our treatment regimen and an individualized comprehensive care plan, we will assist you on how to best control your lymphedema. We are proud to be recognized by local hospitals and health care providers for our Lymphedema specialty program. Our program is designed to decrease hospitalization and exacerbations through education and understanding of the disease process, improving functional abilities and independence, stabilizing conditions and assisting with medical follow-up, and establishing an emergency plan. CareGivers is recognized by Medicare Home Health Compare as one of the top home health agencies whose treatment for Congestive Heart Failure keeps patients from unplanned readmission to the hospital. According to Medicare Home Health Compare, CareGivers surpassed the state average for helping our patients better understand their medications. 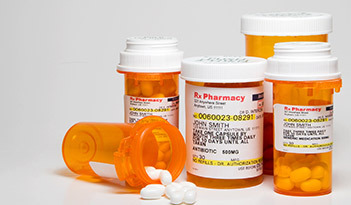 Our Medication Management program helps our patients achieve the goal of self-medication while following the doctor’s orders. As one of the top reasons patients go back to the hospital emergency room, we take fall risk very seriously. Our Fall Risk Management programs help our patients to better understand and prevent falls in the home. We are serious about educating our patients as demonstrated by our superior ranking with Medicare standards. CareGivers surpassed even the national standards with a near perfect score of 99%. This means that nearly 100% of our patients were assessed for and educated on the risks of falling in the home after discharge from the hospital. Diabetes can be controlled with diet, exercise, medication and positive health habits. 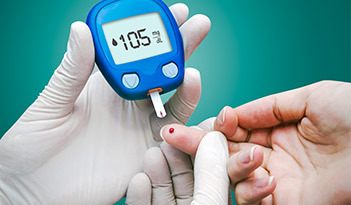 CareGivers individualizes the education of diabetes for each patient by stressing verbal understanding of potential complication signs and symptoms, the importance of adhering to prescribed diets, and maintaining glucose levels within prescribed ranges. CareGivers surpassed national standards in helping our patients to understand and follow doctors orders. Our delivery of patient education programs for diabetes and footcare sets us apart from other state and national home health providers. 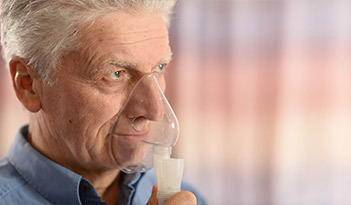 COPD can be managed by educating the patient/caregiver about factors that precipitate exacerbation of shortness of breath. Our program is designed to reduce hospital admissions and emergency room visits by promoting patient safe management through compliance with medications and positive health habits. According to Medicare Home Health Compare, CareGivers ranked higher than the national average in our ability to help our patients to improve their breathing. Your home care nurse, working under the direction of your physician, will guide you step-by-step in order to help you learn to care for or prevent wounds. 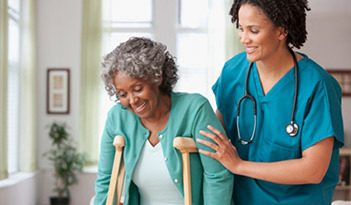 CareGivers can manage varying aspects of skin and wound care related problems. Our staff members are trained in the most up-to-date wound care techniques while maintaining infection control standards and preventing deterioration of wounds. According to Medicare Home Health Compare, we surpassed the national average as a home care provider whose patient’s wounds heal after an operation! CareGivers ranked among the top in the nation in our treatment and prevention of pressure sores. We follow the Orthopedic Surgeons individualized rehabilitation program to assess special equipment needs. Therapists will help you restore your ability to walk by using walking devices, such as crutches, a walker or cane, until the join is able to support your body weight. 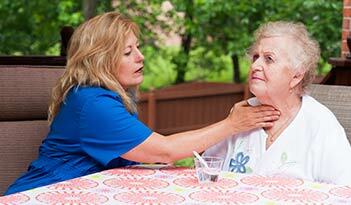 Home nursing is utilized for surgical wound assessment, in-home Coumadin testing/monitoring, and pain management. 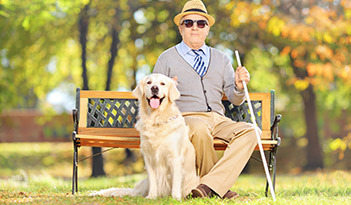 HomeSight is a home-based, low vision program that helps patients who are visually impaired regain their independence. CareGivers is a certified HomeSight provider. 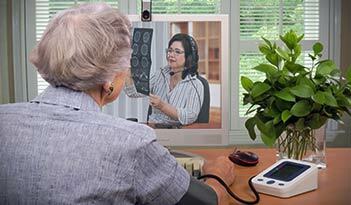 Telehealth is the utilization of remote monitoring equipment for patients with pulmonary disease, diabetes, and heart disease. 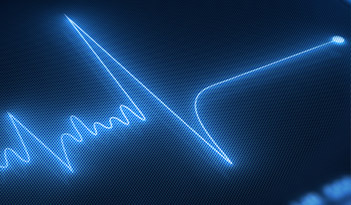 This technology has proven to assist in the reduction of hospitalizations and emergency room visits, while improving our patients quality of life.